"I wanted to thank you for making my reception so gorgeous. 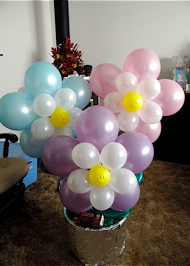 Everyone thought the balloons were awesome! Thanks again for all your help and for making our special day so special!" "Thank you for the beautiful way you decorated the Holiday Inn for our wedding. We were very happy with it. We had so many comments on how nice it looked. We will definitely recommend your business! Thanks again!" 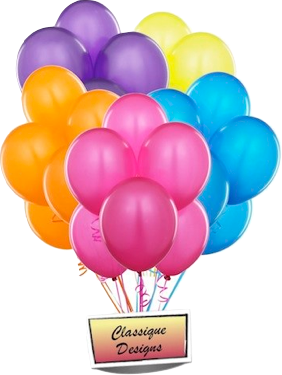 "We would like to thank you for the awesome job you did with our balloons for our reception. What a surprise! It was so pretty! We'll definitely refer you to other people! Thanks a million!" "The students and staff at Weston High would like to send you a big THANK YOU! Because of you, our school prom was a success! The decorations were beautiful! Thank you so much for supporting our school!"